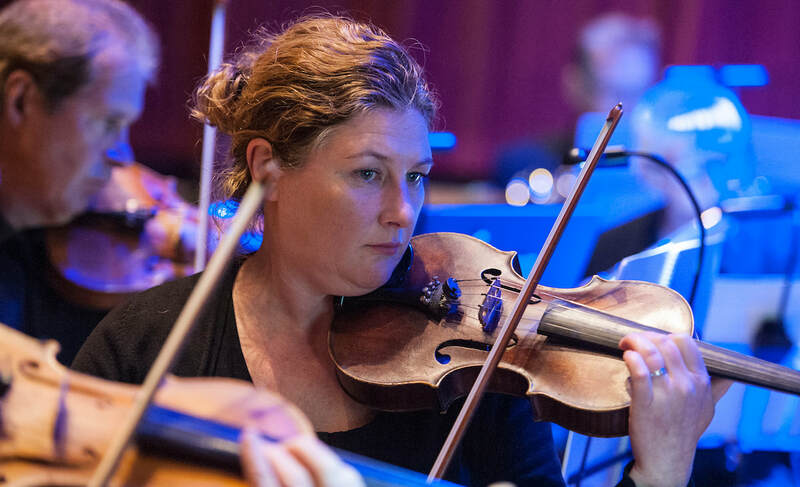 Since it's formation in 2002, the Orchestra has been a regular contributor to the musical and artistic community within Falkirk and Central Scotland, providing both a place for individuals to play and a musical group to provide music to the wider community. Orchestra members perform annually in two orchestral concerts and a shared Christmas celebration with two local choirs. Every May, the Orchestra participates in the Falkirk Tryst Festival, frequently performing with a soloist who is often from the local area. In October, the Orchestra holds a charity concert, the proceeds of which are donated to a local charity. Our past concerts have focused on music from a range of genres, including dance music, traditional styles and full symphonic pieces. A major highlight of our past has been performing Laura Rossi's score, the Battle of the Somme in October 2016, as part of the Somme100 project. We were one of 100 amateur organisations in the UK to perform this work between July 2016 and July 2017. Full details are available on the Somme100 project website. Want to join or hear us? Please click below for details about our upcoming rehearsals and performances. Don't forget to follow us on Facebook to stay fully up to date! Rehearsals are held in the Falkirk Trinity Church on Monday evenings at 7:30pm throughout April, May, September, October and December. Even our fabulous rehearsal location has its own notable history!